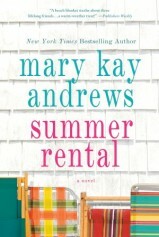 Listen to the Summer Rental Audio Excerpt. It was not an auspicious beginning for a vacation, let alone for a new life. The rain chased her all the way down the East Coast, slashing at the windshield, pounding her car from every angle. 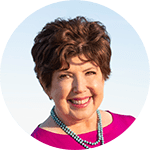 Between the backwash from a continuous stream of eighteen-wheelers blowing past her at eighty miles an hour (in contrast to her own sedate fifty-five mph) and violent gusts of wind from the storm, it was all she could do to stay on the roadway. It was her own fault, Ellis decided. She should have stuck to her original plan. She should have gotten up at a sensible hour, at least waiting until daylight to start the drive from Philadelphia to North Carolina. Instead, on some insane impulse, she’d simply locked up the town house and driven off shortly after midnight. It was a most un-Ellis-like decision. But then, her old life, back there in Philly, was gone. And somewhere, on that long drive south, she had subconsciously decided that the seeds of a new life must be waiting, at the beach. In August. Ellis took a deep breath and rolled her shoulders, first forward, and then backwards, trying to work out the kinks from six hours of driving. She reached for the commuter mug of coffee in the Accord’s cup holder and took a long sip, hoping it would clear the fatigue fog. An hour later, she saw the sign: Nags Head, 132 miles. She smiled. The rain had slowed to a light drizzle. She should arrive at the house, which was called Ebbtide, by around seven. Her smile faded. What had she been thinking? Check-in was at 2 P.M., according to the renter’s agreement she’d signed. She composed a mental e-mail to herself: To: EllisSullivan@hotmail.com. From: EllisSullivan@hotmail.com. Subject: Failure to plan = plan to fail. But the memo would have to wait. The highway rose and she found herself on a long, gently arching bridge. One more damned bridge. Surely it was the last. The Chesapeake Bay Bridge had nearly done her in. She felt her jaw clench tightly. Her fingertips clamped the steering wheel, and her heart raced. A bead of sweat trickled down her back. Nags Head was on the Outer Banks of North Carolina. She’d studied her guidebooks, maps, and AAA Triptik for weeks now. She knew the island’s geography, even its topography, intimately. But she’d refused to allow herself to focus on the bridge issue. Because the fact was, as the girls knew all too well, bridges—even wimpy little bridges like the Sam Varnedoe that separated Whitemarsh and Wilmington islands back home in Savannah—scared the living bejeezus out of Ellis Sullivan. She kept her eyes straight ahead, not daring to look right or left at the water flowing under the bridge. When she’d finally crossed the bridge, her hands were clammy, her T-shirt sweat-soaked. Now she was on the Outer Banks proper. Signs for the little towns flashed by: Corolla, Duck, Southern Shores, Kitty Hawk, Avalon Beach. The sun rose, and she was somehow shocked at how densely developed the beachfront was here. She’d expected to see clumps of sea oats silhouetted against sparkling blue water; sailboats bobbing at anchor; great, gray shingled houses staring moodily out to sea; the occasional lighthouse. The reality was that, so far, what she’d seen of the storied Outer Banks could just as well have been the Jersey shore, Myrtle Beach, Fort Lauderdale, or any other East Coast tourist resort—meaning miles and miles of hotels and motels, restaurants, and strip shopping centers lining both sides of the road, and a shoreline packed with cheek-to-jowl condo complexes and huge, pastel-painted beach houses. Ellis slowed the car and stared. A long crushed-shell drive led through a weedy patch of sand. There was a mailbox at the curb, with a sun-bleached cedar sign in the cutout shape of a whale. EBBTIDE was painted on the sign in faded white letters. The driveway ended at what looked like a two-story garage. The wood-shingled structure was a weathered grayish-brownish affair. Through a set of open wooden garage doors, she spotted a beat-up tan Bronco with a red surfboard strapped to the rooftop rack. To the side of the garage, a rambling three-story wood-frame house arose from a set of wooden stairs. Stretched across the front of the house was a long, open porch. A row of rocking chairs marched across the porch, and a gaudy striped beach towel was draped carelessly across a railing. From the sandy side yard, a wooden walkway led up and over a towering sand dune. On an impulse, she pulled the car into the next driveway. Here, there was no house at all, only the charred remains of a concrete-block foundation, along with some blackened timbers. A black-and-orange NO TRESPASSING sign was posted on a block wall. Ellis put the Accord in park and got out of the car, her cramped legs and back screaming in protest. The air was already hot and muggy. She did a couple of deep knee bends, scanning the yard next door for any signs of life. Had the earlier renters already checked out? Or did the Bronco in the garage belong to somebody who was still enjoying a last hour or two on the beach before it was time to head home? She strolled over to the mailbox and peered up at the house. Their house, at least for the month of August. Ellis intended to make every hour of this month count. “Ebbtide,” she said aloud, satisfied that the exterior of the house, at least, seemed to match the photo she’d spotted in the Vacation Rentals by Owner listing. Of course, that photo had also shown an inviting green lawn dotted with billowing blue hydrangeas and a hot-pink bicycle built for two with a charming wicker basket leaning up against a rose-covered picket fence. None of these were in evidence now. In fact, the only thing in evidence in what passed for a yard, besides a bumper crop of weeds, was a busted-up Styrofoam cooler full of empty malt liquor cans and a sodden heap of yellowing newspapers, still in their plastic wrappers. She glanced down at her watch. She had half a day to kill until check-in. Being Ellis, she’d already planned to arrive hours before the others. The extra time would give her a chance to go to the grocery store, prepare their first night’s dinner, get the house situated. Linens were not included in the house rental, so she’d brought enough sheets and towels for everybody, just in case. And yes, she would have first crack at choosing her bedroom, but since she had done all the legwork finding the house and planning this trip, would anybody really mind? Well, maybe Willa would mind. She was only older than the others by twenty months, but really, she could be so pushy and bossy. It would be just like Willa to accuse Ellis of hogging the best bedroom. Which she had no intention of doing. She just didn’t want a bedroom facing the street and a lot of noise. She was a light sleeper—and she had a lot of thinking to do. And anyway, as the only single woman in the group, she was used to her own space. Too used to it, she thought wryly. She was dying to see Ebbtide up close. She glanced up and down the road. There was no sign of traffic. Just another sleepy summer morning at the beach. Maybe it wouldn’t hurt to walk up the driveway of the burnt-out house to see what she could see. Technically, she knew, it was trespassing. But it wasn’t like she was looting the place. What was left to loot? Quickly, before she lost her nerve, Ellis trotted up the crushed oyster-shell drive. Another wooden boardwalk and a set of stairs leading up and over the sand dune, just like the one at Ebbtide, seemed to have survived the fire that had taken this house. She trod the steps quickly, not wanting to be seen from the road. There was a shed-roofed deck at the top of the dunes. At one time it would have been an amazing place to sit and sip a cocktail and enjoy the ocean breezes. But not now. Some of the decking had rotted out, and the railings missed pickets in several places. A couple of broken plastic lawn chairs lay sprawled on their side, but it was the view that captured Ellis’s attention. From here she could see the Nags Head she’d imagined. The dunes, covered with sea oats, beach plums, and shrubs whose names she didn’t know, sloped down to meet a wide, white beach. The tide was out, and the Atlantic Ocean sparkled gray-blue below. Here and there, people walked along the shore, stooping to pick up shells. “Perfect!” Ellis exclaimed. Just then, she heard the slap of a wooden screen door. Turning, she saw movement from the second-floor apartment over the garage at Ebbtide. That apartment had a small wooden deck wrapping around the sides and back of it. As she watched, a man walked out onto the deck. She could see him clearly—good Lord—he was in his underwear. The man was barefoot, deeply tanned, with unkempt sun-bleached brownish hair. A pair of baggy white boxer briefs hung low on his slim hips. He turned, faced the water, yawned and stretched. And then, while Ellis watched, slack-jawed with amazement and disgust, he quite casually proceeded to pee off the edge of the deck. He took his own good time about it too. Ellis was rooted to the spot where she stood, her face crimson with embarrassment. When he was finally finished, he stretched and turned. And that’s when he spotted her, a lone figure in hot pink capris and a white T-shirt, her long dark hair blowing in the breeze coming off the beach. Ellis managed a strangled “Hey.” And then she fled down the stairs as fast as her flip-flop-shod feet would take her. Men get to have midlife crises. Why not women, suggests novelist Andrews. Her 30-something women are Ellis, Julia and Dorie, pals since Catholic grade school. Ellis has just lost her job. Julie is too insecure about everything. And Dorie has been betrayed by the love of her life. Nothing a month together in a beach-house rental in North Carolina’s Outer Banks can’t cure, right? Throw in landlord Ty Bazemore and add another woman who needs a respite to the group, and find out what happens. 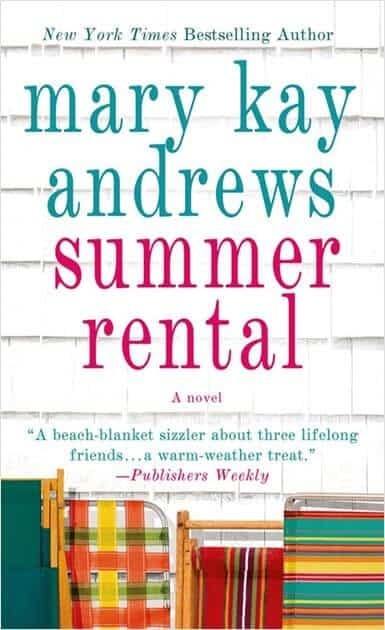 In need of renewal, childhood friends Ellis, Julia and Dorie are renting a beach house on the Outer Banks. Secrets are shared, a mystery woman appears, love may be in the air. Worth a visit. Runaway story line: Thirtysomethings Ellis, Julia and Dorie — BFFs since girlhood — are all at crossroads in their lives and decide to spend a month together in an old beach house. Mystery, conflict, quest or romantic entanglement: Ellis is attracted to the mysterious landlord; Julia is too insecure to accept her boyfriend’s love; Dorie has been betrayed by the man she loved and trusted. Now in their 30s, three girlhood friends head to North Carolina’s Outer Banks to unwind and reconnect. The plot: Best friends, in their mid-30s, spend a month in an old beach house where they deal with their own problems and those of a woman on the run. Summer sizzle factor: A month at the beach? Really? That’s a sizzling fantasy for anyone.